I’m currently reading a book by Steve Brown titles What Was I Thinking? Things I’ve Learned Since I Knew It All. Brown’s books are wonderful. Like me, he is a conservative Christian who believes in the inspiration of Scripture. Doctrinally, I think we are fairly similar. Yet, his writing takes you to new levels of reflection. The first time I read anything by Brown I remember thinking to myself that he was either a heretic or a genius – and it took me a while to figure out which. I’ve settled on genius. Brown writes in a way that is provocative. It’s like he is intentionally picking on the scabs conservative Christians walk around with. What he says makes you angry until you slowly start to realize it’s not Brown that is angering you, but rather God’s Word. And faced with that realization, there is nothing left to do but repent. It’s that’s first sentence that has stuck with me … “Our [Christians] gift to the world is not one of anger, judgment, or condemnation.” Too often, that’s the face we present to world around us – anger, judgment, and condemnation. When, in reality, the Church should be an extension of God’s gift to the world – grace, mercy, and salvation through His Son. All things came into being through Him. It’s this fact that gives God the authority to speak into the hearts of every man and into the core of every situation. It’s that fact that gives Jesus the authority to forgive our sins. It’s that fact that gives God the right to determine that salvation must be accomplished according to His plan rather than our own. It’s that fact that is the foundation of grace. And when we retreat in disgust from the world around us and take refuge in our Christian subculture we are failing to take that gift of grace to the very people that need it the most. Jesus understood this. That’s why He hung out with sinners. That’s why He said,“It is not those who are healthy who need a physician, but those who are sick; I did not come to call the righteous, but sinners” (Mark 2:17). Even the Great Commission, our marching orders from Christ, instruct us to take His message of grace to the world, “All authority has been given to Me in heaven and on earth. 19 Go therefore and make disciples of all the nations, baptizing them in the name of the Father and the Son and the Holy Spirit, 20 teaching them to observe all that I commanded you; and lo, I am with you always, even to the end of the age” (Matthew 28:18-20). When Christian present nothing to the world but anger, judgment, and condemnation and then retreat back to the safety of our own Christian subculture, we are forfeiting the one gift we have to give the world. It is imperative that Christians refuse to forfeit our input and voice to the culture we live in. Music, arts, literature, science … all of these things stand to benefit from the input of Christians. If we want to deliver Christ’s grace to the world, we must be engaged in the world. Jesus once prayed for His disciples, “14 I have given them Your word; and the world has hated them, because they are not of the world, even as I am not of the world. 15 I do not ask You to take them out of the world, but to keep them from the evil one” (John 17:14-15, emphasis mine). Notice that Jesus didn’t pray for His disciples to be taken out of the world; rather, He prayed that they be kept safe from the evil one as they engaged the world for Him. Christ’s prayer should be the strategy of the Church. Rather than withdrawing from the world and drawing imaginary lines between the secular and the sacred, we should engage the world. We should deliver Christ’s gospel to the sic and refuse to sacrifice our voice while tending to our own safety. A proper understanding of mental health as it is presented in the Bible must begin with the Doctrine of the Fall of Man. As the story unfolds, Satan, in the guise of a serpent, tricks Adam and Eve into eating the one fruit that was forbidden by God (Gen 3:1-6). It is through this act that sin entered the world and mankind has been afflicted with a sinful nature since. Charles Ryrie writes, “Every facet of man’s being is affected by this sin nature. His intellect is blinded. His mind is reprobate or disapproved. His understanding is darkened, separated from the life of God. His emotions are degraded and defiled” (Ryrie, 1986, p. 252). Because of this fallen state, mankind suffers from total depravity. In other words, our entire person is affected by our sinful nature – body, mind, and spirit. All illness, whether physical or mental, is a result of The Fall of Man. The Apostle Paul confirmed this when he wrote, “To the pure, all things are pure; but to those who are defiled and unbelieving, nothing is pure, but both their mind and their conscious are defiled” (Titus 1:15, NASB). Because of sin, our minds are defiled. What can be fixed by human effort? Not all guilt can be removed by better therapy. No amount of treatment by doctors, drugs, electric shock, or group therapy can turn us into loving human beings who act only out of concern for the other. The effects of sin cannot be completely removed, though to a greater or lesser degree, they can be modified and their impact ameliorated (Simundson, 1989, p. 145). The sinful nature of illness necessitates that salvation must be included somewhere in the discussion. Namely, if sin is to blame for the presence of mental illness in our fallen world, Christ must be offered as an essential element on the path to mental health. Simundon writes, “As Christians, we must include an eschatological hope in our discussion of mental health. What we really need is ‘salvation,’ something that reaches beyond the promises of this [fallen] world” (Simundson, 1989, p. 145). Of course, the “eschatological hope” Simundson writes of has a name – Jesus Christ. Jesus is essential in our discussion of mental health. He is the ultimate healer. Scripture presents Christ as the face of salvation. Thus, if spirituality is to be included in a complete treatment plan for mental illness, a generic and general spirituality will not suffice. Those suffering from mental illness must be offered nothing less than Jesus Christ. When Christ as offered on the path to mental health there is hope, healing, and forgiveness. View all posts in this series. Ryrie, Charles. Basic Theology. Chicago, Illinois: Moody Publishers, 1986. Digital. Simundson, Daniel. “Mental Health in the Bible.” Word & World Spring 1989: 140-146. According to the National Institute of Mental Health Disorders, one out of every four adults suffers from a diagnosable mental health disorder. These disorders include major disorders such as clinical depression, bipolar disorder, schizophrenia, and obsessive-compulsive disorder, as well as; substance-abuse disorders and eating disorders. The statistics concerning mental health disorders in the United States are staggering. For example, in 2010, there were over 900,000 suicide attempts in the United States alone. Of those attempts, over 30,000 people successfully committed suicide (USA Suicide). While it might be assumed that statistics concerning mental health issues are less severe among Christians, a 2009 Christianity Today article suggests otherwise, “Studies of religious groups, from Orthodox Jews to evangelical Christians, reveal no evidence that the frequency of depression varies across religious groups … in a typical congregation of 200 adults, 50 attendees will experience depression at some point, and at least 30 are currently taking antidepressants” (Blazer). Ed Stetzer writes, “… people with mental illness are often attracted to religion and the church, either to receive help in a safe environment or live out the worst impulses of their mental illness [and] most churches, sadly, have few resources for help.” (Stetzer). Even church leaders are not immune to the impact of mental health issues. In 2009, Frank Page, a former president of the Southern Baptist Convention, lost his 33-year-old daughter Melissa to suicide (Smietana) and in April of this year, mega-church pastor and author Rick Warren’s son Mathew committed suicide after a prolonged battle with depression. The issue has become so prevalent that the Southern Baptist Convention recently approved a resolution offering support for those suffering from mental illness and their families (Barnhart). These statistics and prominent examples alone dictate that the Church should examine mental health issues closely and devise a plan of action. There is a mental health crisis in the United States that is impacting our church members and we must meet it head on. One should expect the church to respond to mental health issues in a way that starkly contrasts that of the secular world, however, that is not always the case. Dale Fletcher offers three very significant reasons why mental health issues benefit from being examined on a spiritual level. First, Christianity can offer a person with a mental health diagnosis “a sense of purpose and meaning” (Fletcher). Secondly, Fletcher asserts the Bible can help a person who suffers from mental health issues understand that suffering (Fletcher). Finally, Christianity (specifically, the local church) offers a person with a mental health disorder a much-welcomed opportunity to “connect with others” (Fletcher). Ideally, in a proper church setting, one who suffers from mental illness could seek and receive love and grace without the stigma that is normally associated with psychological diseases. Of course, the Bible is well suited to speak to the needs of those with mental health diseases, “All Scripture is inspired by God and profitable for teaching, for reproof, for correction, for training in righteousness; so that the man of God may be adequate, equipped for every good work” (2 Tim 3:16-17 NASB). As such, there is no aspect of our life that Scripture cannot address, “For the Word if God is living and active and sharper than any two-edged sword, and piercing as far as the division of soul and spirit, of both joints and marrow, and able to judge the thoughts and intentions of the heart” (Hebrews 4:12 NASB). If the Bible is believed, than it must be expected that it can speak volumes into the conditions of the mentally ill. One writer argues, “One thing people with [mental health disorders] need more than anything else is the hope that is in Jesus Christ. Even though their illness tries to steal their lives away, they can have an abundant life in Christ” (Houdmann). The Bible can shed a great deal of light on mental health and the method by which the Church and individual Christians respond to the mental health crisis in our country. Just no life is complete apart from a life-saving relationship with Jesus Christ, no treatment plan for mental health is complete without addressing the Spirit – along with the Mind and Body. I believe the Church can meet a need in our culture by coming alongside mental health professionals and providing much needed support to the mentally ill.
Disclaimer: I am by no means a mental health professional and in this series of posts, I will be making no attempt to diagnose individuals or to supplant mental health treatment plans … that should be left to the professionals. Smeitana, Bob. “Tackling Stigma of Mental Illness.” Century News 29 May 2013: 14-15. Retrieved from EBSCOhost. I was browsing library books today and stumbled over several book titles that troubled me. One that especially stood out was How to be a Christian Without Going to Church by Kelly Bean. I must admit that I haven’t read a single word of this book, so perhaps I’m off base, but the title suggests that engagement in a local church is not an essential element in the Christian’s life. This struck a chord in me because I’ve had a particular passage of Scripture running through my mind all week. The Book of Acts records the Apostle Paul’s salvation experience on the road to Damascus. With letters of authority from the high priest, Paul set out for the Damascus synagogues so “that if he found any there who belonged to the Way [Christianity], whether men or women, he might take them as prisoners to Jerusalem (Acts 9:2, NIV). Paul had already created enough havoc in Jerusalem to cause the Christians there to scatter and had even participated in the stoning of Stephen. His intentions in Damascus weren’t good. Then the risen Jesus intervened. When a flash of light from heaven appeared, knocking him to the ground, Paul heard Christ’s voice ask, ““Saul, Saul, why do you persecute me?” (Acts 9:4). Jesus sees the Church as an extension of Himself. In my mind, this is the single most powerful argument for the validity of the Church (both local and global) in all of Scripture. It is a game-changer in the way we should view the church. When we view the local church and the Christians that make up its numbers, we should see Jesus. But here’s the deal. Christ intentionally built community into our spiritual walks. 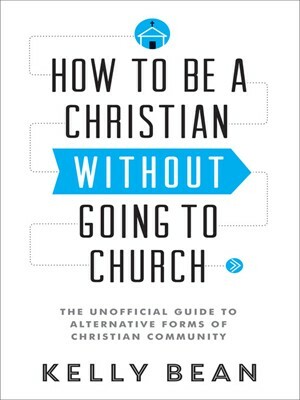 The subtitle of Bean’s book suggests it will help Christians find “alternative forms of Christian community,” however, I fear reality is something quite different. Outside the local church most Christians do not bother looking for Christian community. They immerse themselves in the world and neglect God and His Word. Scripture provides quite a different example. After Christ rose from the grave on the fist day of the week, Sunday became the day Christians began meeting to commemorate the event. On at least one Sunday gathering, Paul preached to those in attendance until midnight! (Acts 20:7). The local church remains the best opportunity for Christians to gather with like-minded believers, to worship the Lord, and to immerse themselves in His Word. Despite all its imperfections, the church is an extension of Jesus Christ and should be seen as essential to living out our lives as Christians. Find a church, serve, and grow. Thom S. Rainer, the President of Lifeway Publishing, is known for his blog and ministry aimed at helping church leaders. In this little book, he turns his attention to church members. In the current “fast food, have it your way” climate of the church, Rainer’s book is a call to church members to reevaluate their membership in and dedication to the local church. It is a valuable book that every church member and leader should read. I can’t count the number of times I’ve heard someone say this. And at the risk of sounding crass, normally the person that utters such a statement is bearing an expected lack of fruit in their lives. The Christian walk is designed to be lived out in community – not isolation. I’m astounded by some of the studies I’ve read recently. Christianity is growing the most in the following countries: Nepal, China, United Arab Emirates, Saudi Arabia, and Qatar*. Interestingly, these countries also rank high on the watch lists for Christian persecution**. China, a country where a Christian can be executed for expressing faith in Jesus Christ, is on pace to become our planet’s most Christian nation. I wonder how Christians in this part of the world would react to the statement, “I don’t have to go to church to be Christian.” I suspect if they lived in our country, they would gladly take advantage of the opportunity to worship freely and without fear. Yet church attendance is decreasing in our country where the right to worship is protected by our First Amendment rights. I find this unbelievable. I firmly believe it is growing more difficult to persuade non-believers to attend church because Christians themselves have lost their passion for attending church. How can we honestly convince someone to join us on Sunday mornings when we’re not passionate about it ourselves? 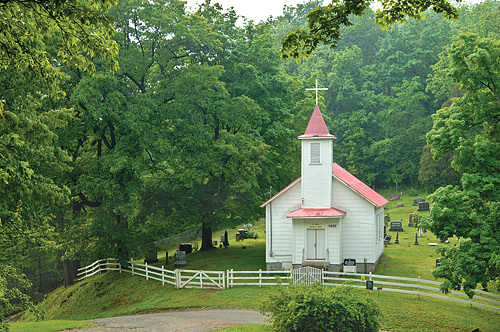 Even among Christians who belong to churches, attendance seems to have become hit or miss. Unfortunately, we no longer value church attendance as we once did … and our lack of passion for the church is negatively impacting our culture and the non-believers around us. In my next few posts I am going to be writing on the importance of regular church attendance and I ask you to pray for your church along with other local churches in your area; I also encourage you to pray for the state of Christ’s Church across our great country. 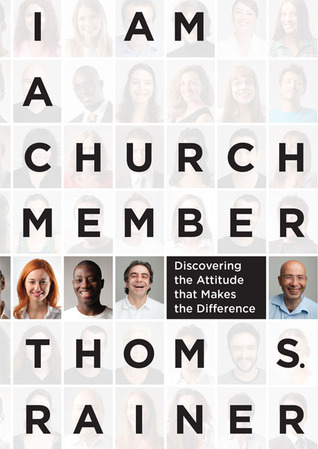 In the meantime, you may find this article from Thom Rainer’s blog interesting – read it and pray about your own church attendance. Sadly, with the decline in church attendance in our country, it would not surprise me if it someday becomes common place to see Christians in China sending missionaries to the mission field right here in the United States. “… and let us consider how to stimulate one another to love and good deeds” (Hebrews 10:24, NASB). The author of Hebrews is writing most likely to Jewish Christians who, under much oppression, were tempted to turn from Christ and return to their pagan ways. His advice translates well to modern Christians who are tempted to adhere to the ways of the world and live selfish lives. Consider, how different the Church would look of we all followed the directions found in this verse. How would things change if we all actually took the time to consider the practical ways we could encourage and love one another? This verse doesn’t suggest we should simply love one another when the opportunity presents itself – it suggests we should be contemplating carefully how we can show love to one another! This changes everything! We should wake up in the morning mulling over our plans to intentionally love others. We should strategically love bomb people! “… (v.24) moves us from the vertical to the horizontal dimension of Christian living. This admonition to love one another, our social obligation, [is] necessary since some [tend] to wander from the faith” (Constable). We’ve all known people who have strayed from the Church and stepped out of God’s will. If I’m being honest, there have been moments in my life when I didn’t tend to my faith as closely as it deserved. In these moments, it is crucial that Christians step in and take their responsibility to love one another seriously. This commitment to our “horizontal” relationships should directly flow from our vertical relationship with God. The author of Hebrews didn’t stop there. In Hebrews 10:25 we are instructed to “not forsake our assembling together, as is the habit of some.” Tending to our Vertical and Horizontal relationships is best accomplished in the local church. Attending church faithfully and becoming invested in the local church helps keep us focused on the vertical while providing ample opportunity for the horizontal. Let’s face it folks, if we want to be more like Christ, we need to tend to both our vertical relationship with God and our horizontal relationships with others. There is something special about studying the Bible with other believers. I always tell the Bible study class I teach there is no doubt I learn more from them than they do from me! I’m not suggesting we shouldn’t conduct private studies of the Word, in fact, I think we should do this daily, however, when you study the Bible with other like-minded Christians you are always sure to learn something unexpected. Someone is sure to see a passage of Scripture from a different perspective than you anticipated … it is in these moments you will see growth. The Bible tells us that Scripture is God-breathed (2 Tim 3:16). If we profess to believe this, why wouldn’t we make every effort to study it as often as possible? There are vast benefits to listening to the Word preached in a congregation-wide sermon each week, however, if you are interested in true spiritual growth, get engaged in a small-group Bible study. “that is, that I may be encouraged together with you while among you, each of us by the other’s faith, both your and mine” (Romans 1:12 NASB). Paul wrote these words to the church in Rome. He desperately longed to visit his Christian brothers and sisters there so he may be an encouragement to them. Likewise, he hoped his own faith would be bolstered by theirs. Paul wrote that he thanked God for the Roman church because their faith was being “proclaimed throughout the whole world” (Romans 1:8). Their faith, like Paul’s, was centered on Jesus Christ. Because our faith is centered on Christ and we are indwelled by the same Spirit, I have a mutually edifying relationship with the other members of my church. There are days, if I’m being honest, I don’t feel like being in church. I have days where I doubt the authenticity of my faith. I have days where I feel like a failure. Those are the days I need to be in church. When my spirit is weak I can be lifted up by the faith of my brothers and sisters in Christ! When I am down they can lift me back up. It may not even be an intentional act. My heart can become joyful simply from being in the presence of others who are genuinely worshiping my Lord and Savior. I strive to be the same kind of encourager to others. I understand there are going to be days when my friends at church are down. I understand they may have days where they doubt why they are there. I pray that in those moments God will use me in some small way to deliver joy and peace where it is needed. Church provides an opportunity for others to encourage you in your faith and provides you with a practical opportunity to uplift others. This is reason number one why I love the church.